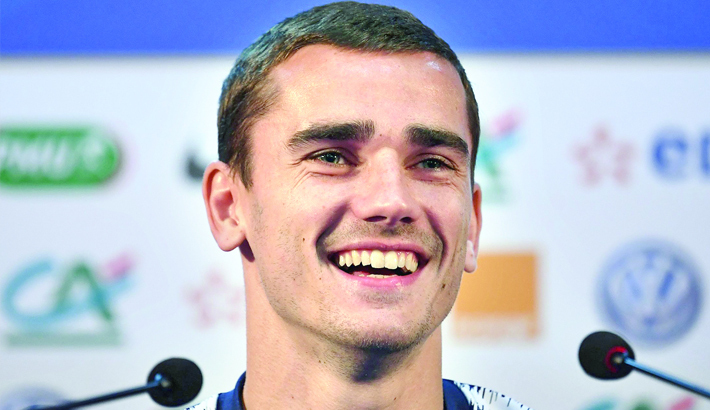 Belgium’s players criticised the tactics France used in their 1-0 semi-final win as Didier Deschamps’ team sat deep and Samuel Umtiti’s headed goal came from a corner, but Griezmann dismissed the criticism. “I don’t care. I want the star (on my shirt for World Cup winners). If I get that star, I don’t care about how we play,” the 27-year-old Atletico Madrid forward told a press conference at France’s training base outside Moscow. He finished top scorer at Euro 2016 with six goals but France lost the final to Cristiano Ronaldo’s Portugal on home soil.